Travel Her Story featured Rachel in its list of Inspirational Travel Bloggers for 2018—an awesome list of travel storytellers! Click through for the link. As an AFAR Ambassador, Rachel has explored many interesting corners of the globe, photographing and writing about unique destinations. 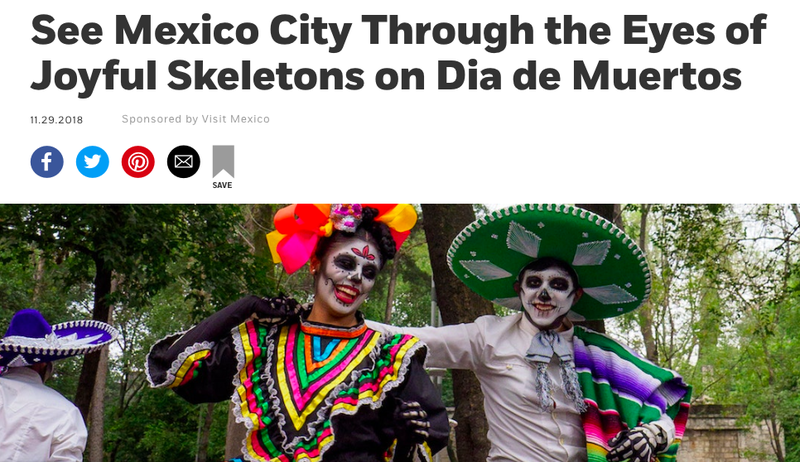 Mexico City’s “Day of the Dead” celebrations have been one of her favorite subjects thus far… click through for the story! 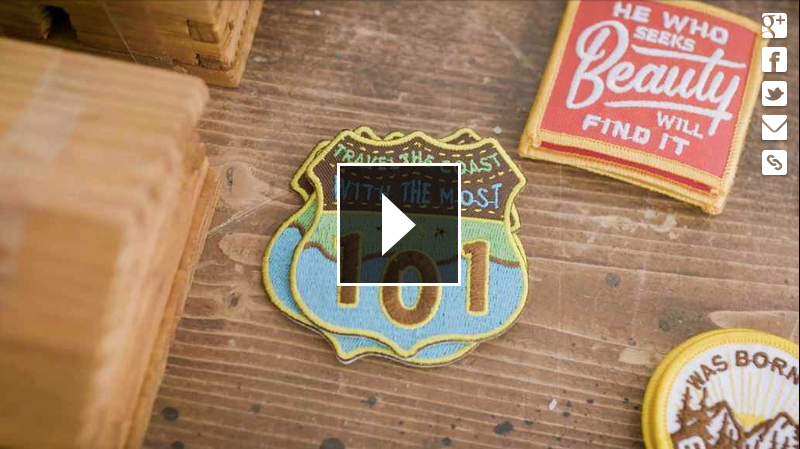 Because she’s an expert in the world of of off-the-beaten-track adventure, Tastemade and Marriott SpringHill Suites tapped Rachel to host on their new series “Beyond the Expected.” Click through for the episodes! Rachel joined the Hustle Over Entitlement podcast to share “how her story of how her grit, wit, and genuine enthusiasm took her on a magical professional journey that now allows her to shine a light on beautiful cultures worldwide.” Click through for the episode! 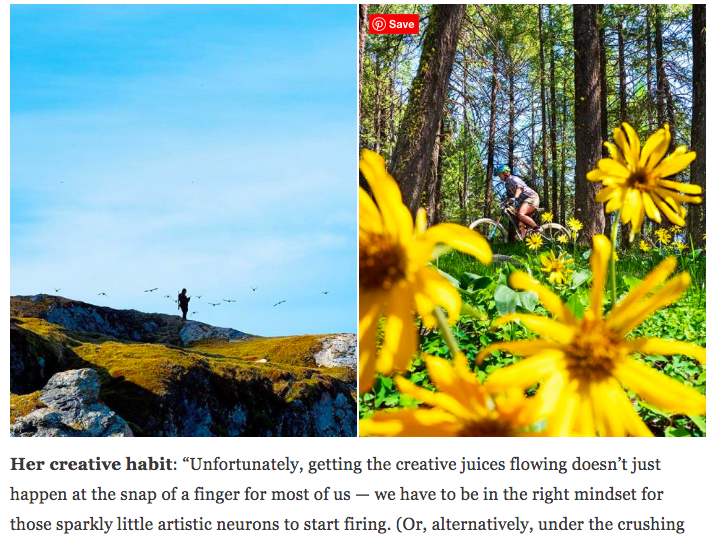 Passion Passport gathered together some their favorite creators and asked the question: how do you kickstart creativity on the road? Click through to the article for Rachel’s answers. 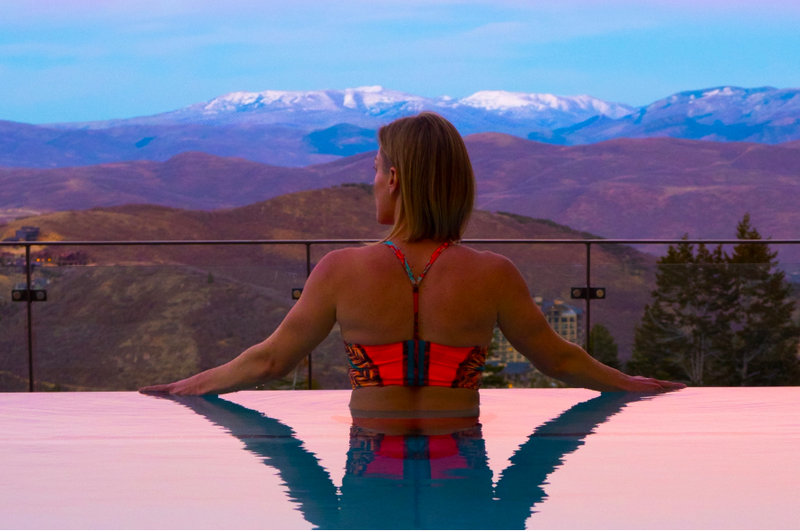 Given her commitment to staying well while on the road—AND spending as much time in the mountains as possible—Real Simple thought Rachel would be a great guide for a wellness-themed video project in Colorado. Full video when you click through! It’s always an honor when fellow travelers list Rachel on their “to follow” features, because they know what it takes to get out there and explore. Rogue Habits featured Rachel in their latest list, and you’re gonna want to know who else is on it. Click through for details! Unearth Women features Rachel as it's first-ever "Woman to Watch", where Rachel and the magazine talk travel, storytelling, and sexism in the industry. Click through for the story! 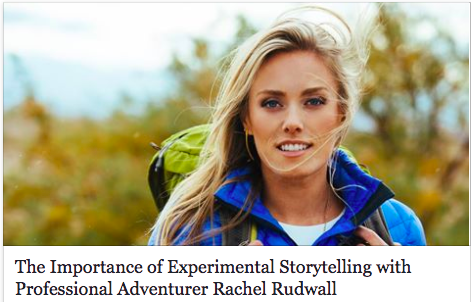 Rachel Talks the "Rise of the Influencer"
Olympus Cameras wanted to know what it takes to become a successful travel storyteller, so they approached Rachel to talk travel writing and photography. Read on for photography and blogging tips! When Well+Good decided to write an article about packing hacks, they immediately reached out to Rachel for her top packing tips. Click through for the article! Rachel headed back to her alma mater Miami University to emcee and moderate panels at 2018's Women's Leadership Symposium. Bringing together over 300 women to talk empowerment and wellness, Rachel oversaw two days of events as Miami's live event host. 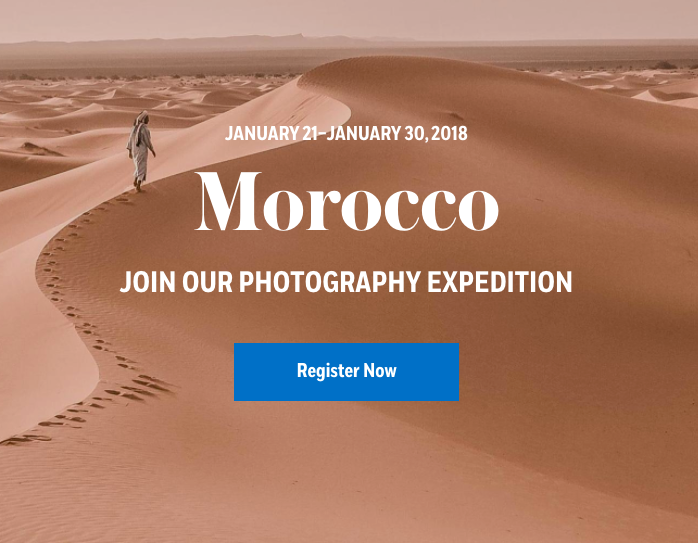 After leading a photography tour through Morocco on behalf of Nikon and AFAR Magazine, Rachel's photography and writing went live in the piece World in Focus: 10 Stunning Photographs that Capture the Many Colors of Morocco. 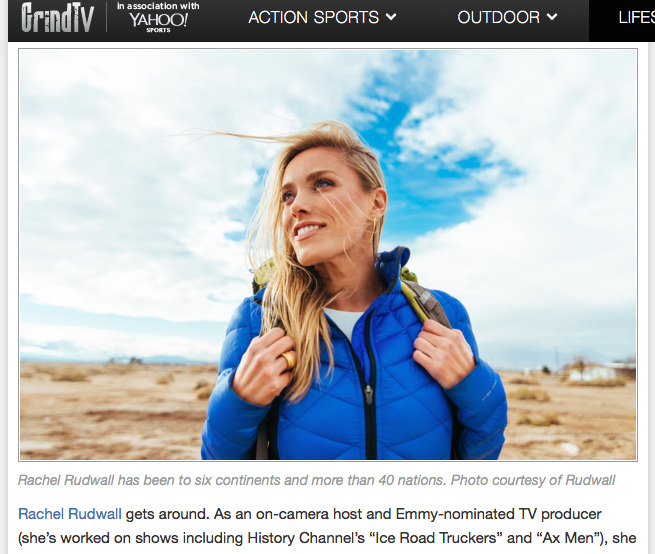 Rachel "Changing the Face of Travel"
In honor of International Women's Day, social media community and content behemoth Passion Passport named “33 Female Storytellers Who Are Changing the Face of Travel," and Rachel is on that list. Click the hyperlink to read more! Rachel's latest Asian adventure took her to the remote Himalayan kingdom of Bhutan--an adventure that Forbes knew they had to interview her about. Read on for the full piece!